I really wanted something that HAD to be read so I chose spot-UV on a 24pt. 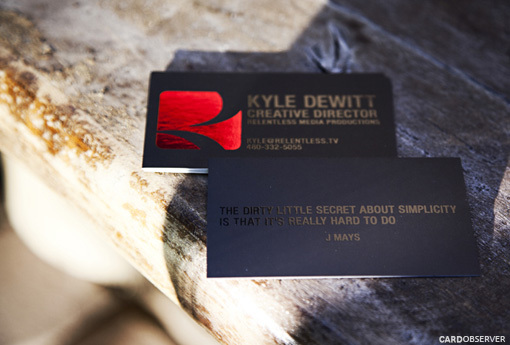 black suede card. To top if off, I added the bright red foil.